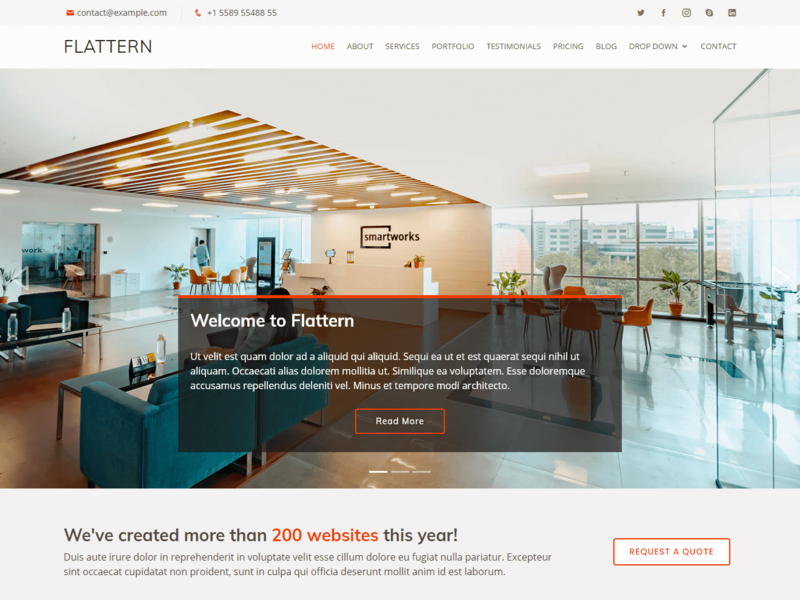 Flattern is a clean, flat and professional website template created with bootstrap framework. Coming with flat, young, modern and trendy design this template will suitable for corporate business, agency or portfolio. Powerful SEO features has been implemented regarding Heading (h1, h2, h3,…) tags in that on each page and the ‘h1’ tag is assigned to the logo text.